One of our most popular combos we have in our fleet and its to no surprise. Be wisked away to the island of Hawaii as we bring you our newest inflatable featuring large bounce area, climb area, basketball hoop and slide all while entertaining kids of any age. This combo is perfect for kids and adults ages 3-99 and we have an option to be used as wet as well. 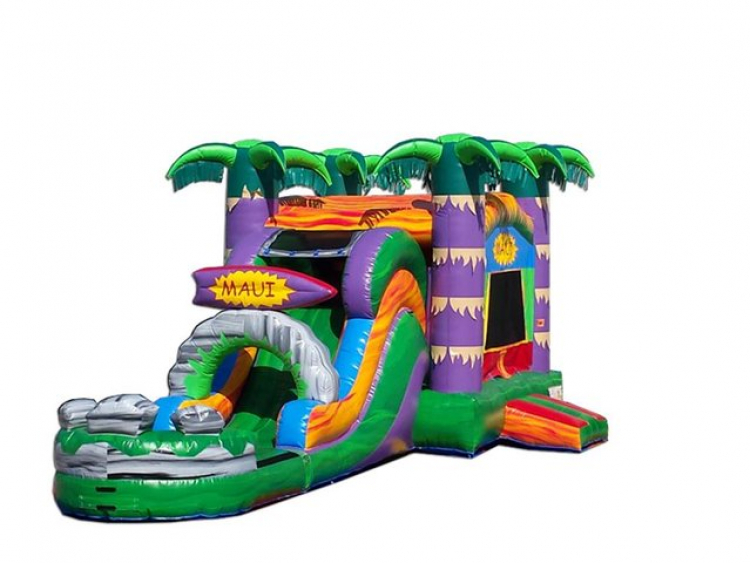 Be sure to add a jumbo game or concession to make your party complete.